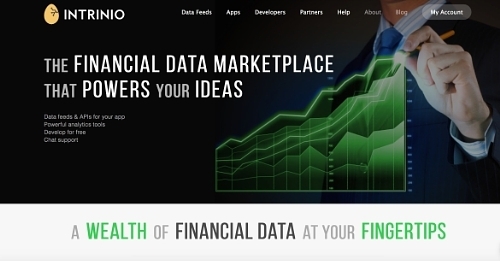 Florida- based financial data provider Intrinio announced the launch of the Intrinio Fintech Marketplace this week in a move to make financial data more affordable and easier to use for developers. According to the official release, the company aims to help investors save money and make time by having affordable and easy to access financial data and the marketplace is positioned to do this process. According to the company CEO Rachel Carpenter, the new platform will enable development of new generation of financial tools. “Developers looking to build FinTech applications face two major hurdles. First, traditional data providers are used to selling to massive institutions that have no other choices about where to buy their data- this leads to prices that keep most developers out of the market. Second, developers need financial data that is easy to use, data they can easily integrate into their apps. The Intrinio Fintech Marketplace clears both of these hurdles," Carpenter said. The new Fintech Marketplace will have key features that include support of instant chat services for all users, industry leading flexibility for re-distribution, and multiple data feeds and applications that are available for free. Those developers who are building qualifying applications can use the Intrinio Developer Program, which includes 6 months of free access. Developers will have the choice to choose from a variety of data feeds that includes FDIC bank data, real-time stock prices, and fundamental 10Q/10K statements to use in their applications. These data feeds can be administered in API format and are priced to be affordable with minimum restrictions and self-service signup. "Now we are creating a platform where other data providers can give options to Intrinio's community of developers. Data providers who share our belief - that efficient data needs developers to be valuable - can get their data in front of developers, and developers can select the data feeds they need to make their applications purr," Joey French, President of Intrinio said.